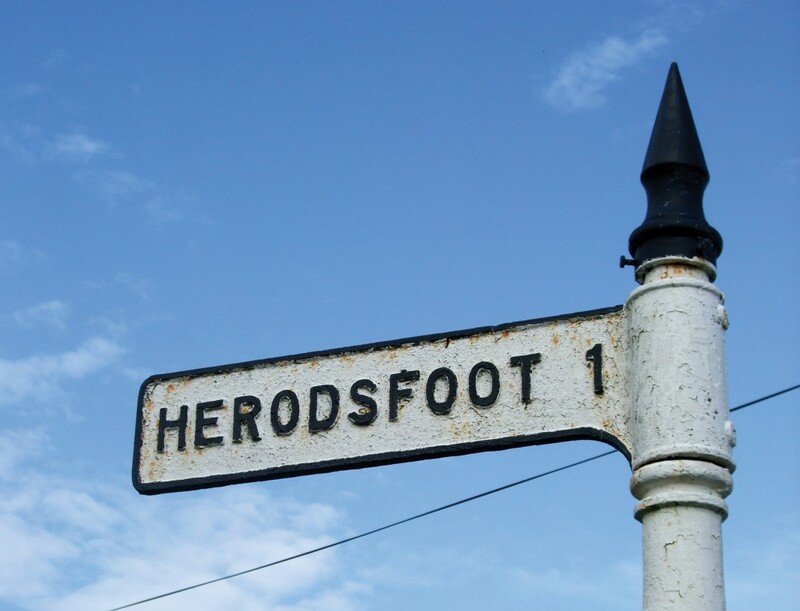 The tiny village of Herodsfoot has existed since the Middle Ages, nestled in the West Looe valley around four miles south-west of Liskeard. Described by the Poet Laureate Sir John Betjeman as “an inland Polperro,” today it’s a placid place surrounded by quiet woodland, ideal for exploring. But the little community has a remarkable, wide-ranging past. Legend has it the village name originates from the visit long ago of a local giant named Herod, who created the spot with one stamp of his great boot. The probable explanation though is a derivation from Herodsfoot’s setting ‘at the foot of the long hill,’ originally from the Cornish ‘Nanshiryarth,’ ‘Hirgarth’ or ‘Hyr-Garth.’ By the early seventeenth century it was known as Herryotsfoote, and later Herods Foote, before its present name. View across the old mill pond once used by the East Cornwall Powder Company, which now forms part of the Deerpark Cabins forest retreat. Farming, cider apple orchards and a deer park provided most of the local work; for hundreds of years the population stayed at a little over 100 people. Early on during Britain’s Civil War, in January 1643 just four miles to the north-west, the Battle of Braddock Down took place, which secured Cornwall for the Royalists. It’s doubtful though whether the isolated villagers knew much about either battle or the wider war, though they may have heard the fire from musketry and cannon. During 1850 Herodsfoot’s Church of All Saints was completed. 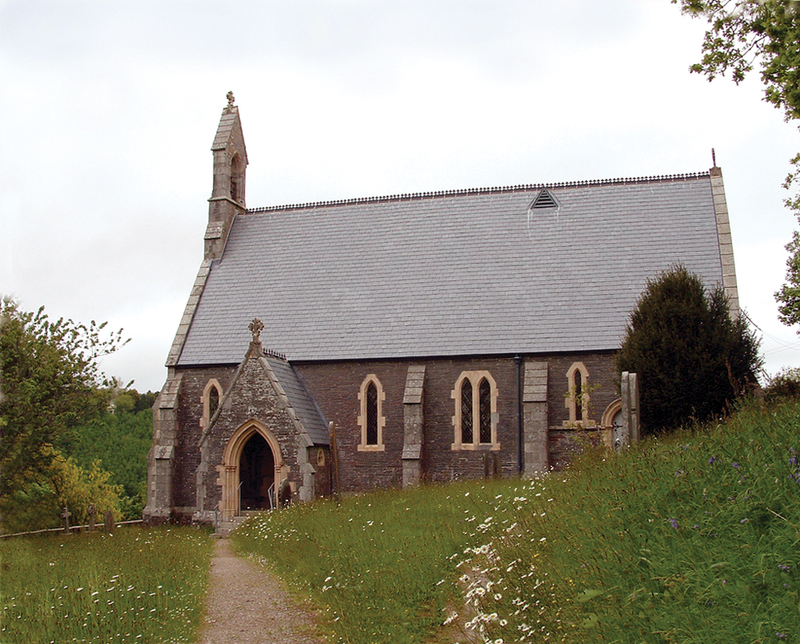 Designed by the Diocese of Exeter’s architect John Hayward, All Saints was built overlooking the village, heavily buttressed with a sharply pitched roof. The following year the parish of Herodsfoot was created from parts of surrounding Duloe, Lanreath and St Pinnock. The new parish marked a fresh chapter in local life for by then, in relative terms Herodsfoot was transforming into a boom-town. Bournonite sample label from the British Museum citing Herodsfoot and Richard Talling, dated 1872. Above the huddle of cottages, for centuries small scale adit mining of lead and silver deposits had taken place; ore-bearing lodes found in the surrounding hillsides were burrowed into, mainly just east at Herodscombe. But nineteenth century steam technology used for drainage allowed vertical, ever deeper mine shafts, as the prized metals were relentlessly pursued. Around 1802 the North Herodsfoot mine began work, using water-wheels at first but later adapted to accommodate steam power. By the 1850s a second mine known simply as Herodsfoot was underway south of the village; run by shrewd Captain Thomas Trevillion from Camborne, it was one of Cornwall’s most profitable. A 40 inch beam pumping engine was installed, changed during 1864 for a more powerful 60 inch example. As the Herodsfoot mine prospered it became the main operation, digging to a depth of just under a thousand feet, and the old North Herodsfoot workings slowly ran down. A further site, small South Herodsfoot mine, was opened at the edge of nearby Pendruffle Woods. 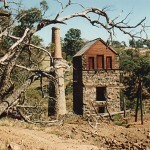 Herodsfoot’s lead ore was some of the richest in the country, and business thrived until the mid-1880s. At its peak, the village’s mining industry employed well over 300 men. Miners arrived from as far afield as Liskeard; some walked in daily, others took lodgings in Herodsfoot’s cottages or the surrounding hamlets. By the 1870s around 500 people lived locally. A blacksmith’s forge appeared, together with a new bakery and a butcher’s shop. Counterpointing the arrival of the church, to cater for the miners’ less spiritual needs, several cider and beer houses opened including the sleazy Royal Oak, together with a brothel. For the villagers, after their tranquil solitude, the change must have felt like a descent into bedlam, the mines racket echoing round the valley, foul smoke belching from black-mouthed stacks. During the mid-nineteenth century, another industry arrived: a gunpowder mill. The local woods had long seen small scale production of charcoal and in 1845 at the old works west of Herodsfoot, the East Cornwall Gunpowder Company began business. Since one of the ingredients of gunpowder is charcoal, the venture was off to a flying start. East Cornwall Gunpowder Company was founded with financial support from the Quaker community, its purpose commercial rather than warlike, and made use of water power from the nearby river. The concern was managed by the Isaac family, who had run Herodsfoot’s old charcoal business. With a ready demand from the area’s mines, trade flourished in blasting powder and fuses while a local sideline grew in making barrels to store the gunpowder. During the 1850s the company established a second site: Trago Mills, situated in the woods of that name five miles outside Liskeard. Herodsfoot photographed during the early twentieth century. Herodsfoot’s East Cornwall works was built in a wooded valley intended to provide some screening protection in case of accidental explosion, a danger inherent at that time in making gunpowder products. Understandably, safety at the site was a vital concern but despite precautions, several grim accidents occurred. In May 1850 the local newspaper dolefully reported a huge explosion ‘which afforded a grand but awful evidence of the tremendous power of gunpowder…a spectacle of devastation and wreck such as our readers will be totally unable to conjure up in their imaginations.’ Amazingly, though much of the site was flattened in the accident, only two men died. During October 1857 a further detonation again destroyed the mill, when four men were killed. 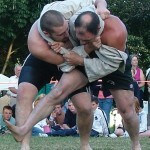 Shock waves were felt as far away as Liskeard and Lostwithiel. Yet another misfortune happened on 12th May 1876. A chain of explosions began with merely a spark from a workman’s mallet hitting a grain of grit, and spread to an incorporating mill used for grinding the gunpowder’s ingredients into particles: charcoal, saltpetre and sulphur. Almost every building on the site was destroyed or severely damaged, but only three men died. Hardly had the factory recovered when in October of the same year a second blast occurred; that time, two men were killed. Despite the terrible explosion, the site was always rebuilt and went on to achieve a remarkable longevity. Herodsfoot bournonite mineral sample, set amongst white quartz. Lead and silver weren’t the only treasures found at Herodsfoot. 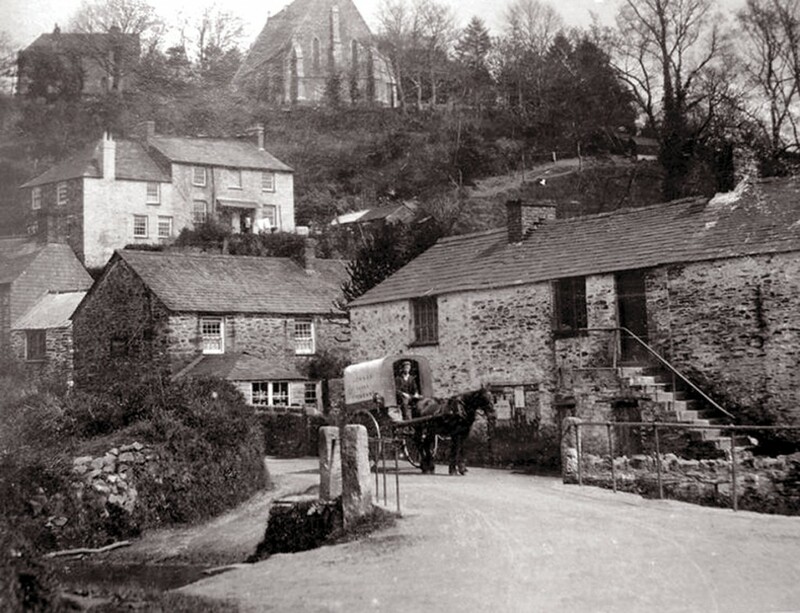 During the 1850s and 1860s the village was visited by Richard Talling, the esteemed mineralogist born at nearby Lostwithiel in 1820. 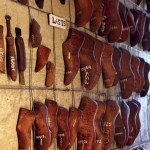 Talling began his living as an apprentice shoemaker but developed a passion for minerals, and for much of his life ran an emporium in Lostwithiel where he sold his samples. 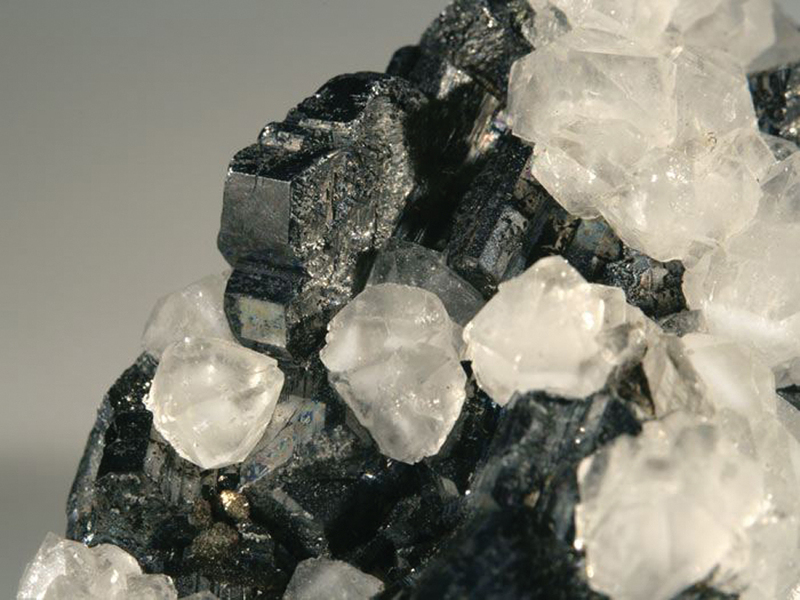 He travelled widely in search of new specimens but discovered two unique minerals locally, exposed by Herodsfoot’s probing mines: bournonite, a sulphide of lead, copper and antimony; and tetrahedrite, a sulphide of copper, iron and antimony which also sometimes contains silver. It seems that in his enthusiasm the collector made a nuisance of himself at Herodsfoot, for eventually the mine manager banned him from acquiring any more samples. He rather neatly got round his exclusion by buying shares in the mine, which allowed him to come and go as he pleased. 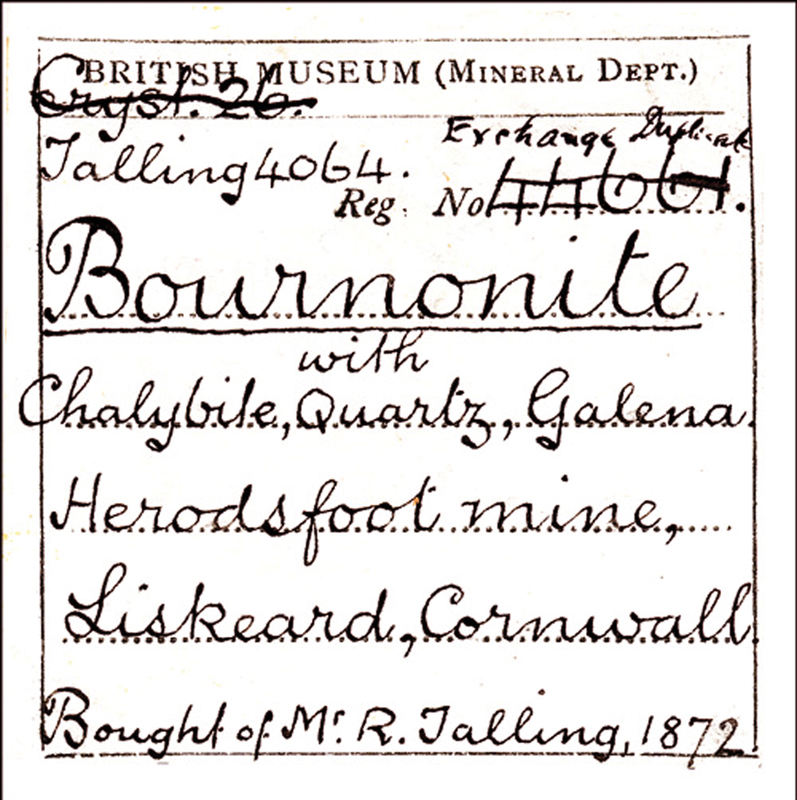 Talling’s Herodsfoot discoveries were his most famous achievement and samples of the two minerals were acquired by the Royal Cornwall Museum. Today too the Natural History Museum’s Vault, a gallery containing nature’s rarest and most valuable minerals, features a huge bournonite specimen bought from Richard Talling in 1868. No other sample of its size or quality has ever been found. 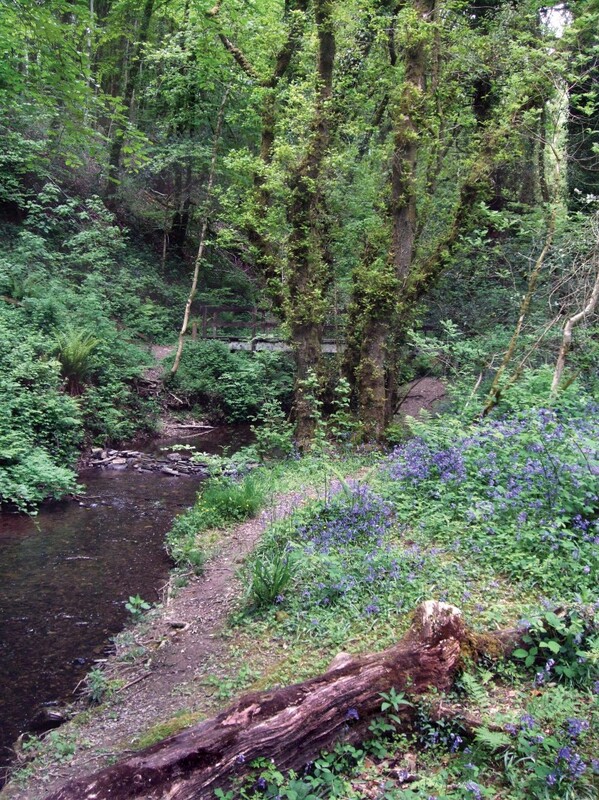 Herodsfoot is surrounded by woodland with many beautiful walks and opportunities to observe wildlife. In 1884 Herodsfoot’s mine finally shut the books and went into liquidation, owing various monies; among the creditors were its explosive neighbours. Miners and machinery left the village, which in the main reverted to its former peace. During 1898 East Cornwall sold the powder mill but various companies continued its work. The site was bought by the Safety Explosives Company in 1900, but by 1903 the concern was known as Ammonal Explosives Ltd. During the First World War the mill was run by the Ministry of Munitions. The few parishes which lost no men in the First World War have since become known as Thankful Villages; Herodsfoot is Cornwall’s only Thankful Village, across the length and breadth of Britain one of a mere fifty. Today, there’s still much evidence of times past. Ruins survive both of Herodsfoot and North Herodsfoot mines, though they’re on private land. 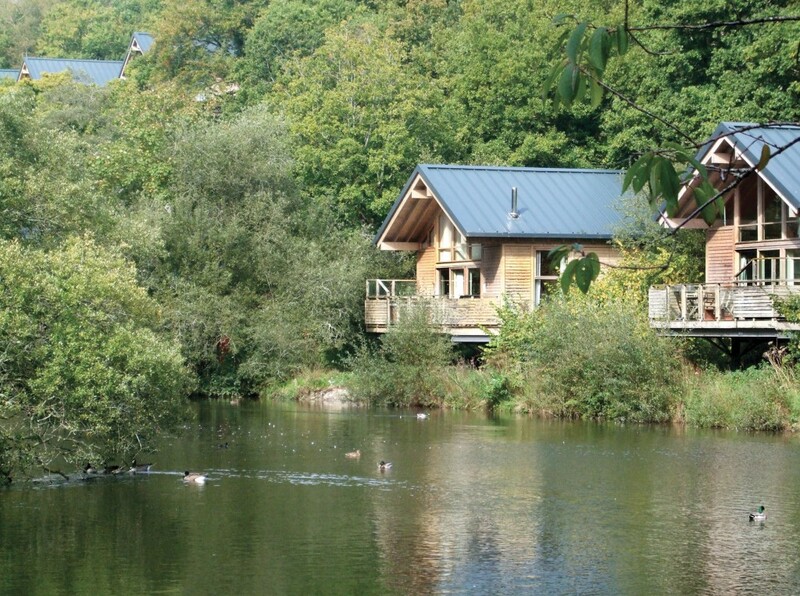 The old gunpowder site, finally vacated by Noble Explosives in 1965, has become the Deerpark Cabins forest retreat; several of its holiday chalets are set by the mill pond once used to power the machinery, where waterfowl now flourish. Woods around the village provide beautiful walking and if you’re stealthy, the chance to discover wildlife: fox, stoat, roe deer, even this occasional red deer. Each Armistice Day, a short open air remembrance service is held at the war memorial. Community events are held throughout the year, including a summer ram roast on the green and a charity duck race using the passing stream; activities which bring together the residents and underline Herodsfoot’s enduring sense of kinship. Size is by no means everything; the little village is well worth a visit. 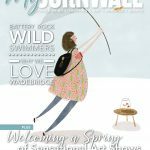 The writer would like to thank Peter Taylor and Ian Savigar for their generous help in connection with this feature. At the Foot of the Long Hill: a Story of Herodsfoot, by Sally Hall. Sally’s book is on sale at Herodsfoot’s Church of All Saints.